Have you planned your outings for this coming weekend? Perhaps, a brunch session at The Haute Food Co? The Haute Food Co., is a neigbourhood cafe that is located in Plaza Damas. The cafe is run by extremely passionate and charismatic chefs who have worked in restaurants around Australia and France. It's a simple cafe with minimal decors and a clean, nice and relaxing ambiance. Limited tables in the cafe but you may opt for it's alfresco dining section. 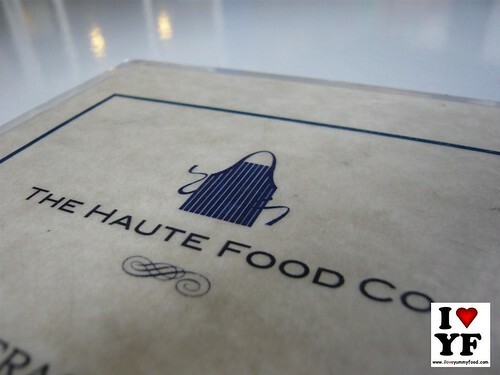 The Haute Food & Co serves classical and contemporary French cuisine, Genovese coffee and awesome bakes and cakes. 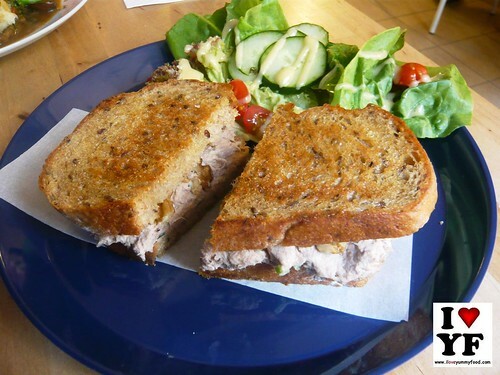 Sandwich made from toasted multigrain bread, served with fresh salad on the side and filled with one of a generous portion of tuna and walnuts. Surprisingly excellent! This is the special of that day dish- check it out at the board. 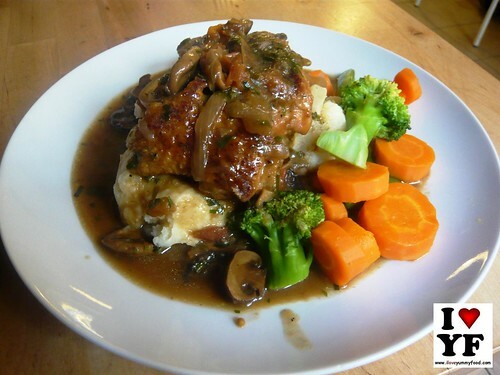 Thick rich sauce with soft and tender chicken meat served with classic mashed potato. Heavenly tasty! The aroma, intense and unique taste of the cuppa does provide kick off to the lazy Sunday! 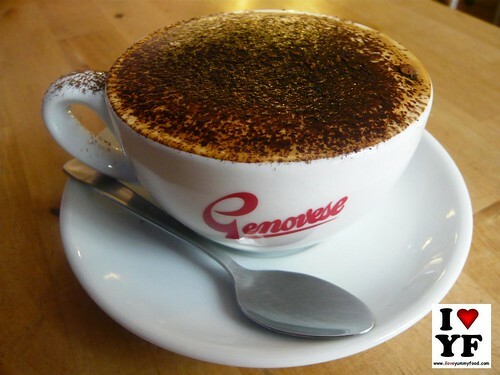 Thanks to the Melbourne roasted and blended Super Brazil by Genovese! The neighbourhood cafe offers a distinctive & delicious food and coffee. A perfect place to chill for a mid-morning cuppa to a quick lunch to a little late afternoon tea. Now, I am planning for a revisit! Awesomeness I say! FYI, Haute has ceased operation effectively end of October. The chef owner is going for Honeymoon.. No plans to reopen at the moment. For further updates, you may visit their facebook page.